Dispatchers, customer service representatives, drivers, mechanics — as the fleet manager or owner of a passenger transport business, you have the challenging responsibility of juggling many different facets of a business to produce results. More than anything, it's pivotal that your drivers are accountable to keeping your business's vehicles — whether it's a limo, bus, van, or motor coach — clean, inspected, well-maintained, and DOT compliant. In this competitive climate for passenger transport vehicles, ensuring that your fleet avoid fines, remains spotless, and schedules regular maintenance is an absolute must. Unfortunately, outdated paper-based slow down the process for drivers and managers alike. Antiquated methods often reduce communication between drivers and fleet management and delay needed maintenance. That's where web based inspections come in. At Whip Around, our app transforms passenger transport businesses by providing specialized inspection technology and customized digital forms. Armed with a simple and effective solution, you and your fleet can focus on creating a cleaner, safer, more cost-effective passenger transport business. A limo, van, bus, or motor coach that has the capacity to carry nine to fifteen passengers for compensation is subject to the Department of Transportation's rules on safety and compliance. Not only are these rules in place to ensure passenger and driver safety, but lack of fleet compliance can cost your business in hefty regulatory fines. Ensuring that drivers remain compliant can be a challenge, especially in a large fleet. The expense and storage requirements of paper-based forms can often be overwhelming. By shifting elements of DOT compliance to a simple yet effective app, drivers can achieve greater accountability and efficiency. In addition, advanced analytics available through the app allows you to keep track of the bigger picture when it comes to fleet compliance. These everyday fleet inspections can be performed more quickly and efficiently with an app. Drivers can quickly identify major mechanical issues, avoid driving that particular vehicle, and initiate the process of scheduling maintenance. In addition, the digital format makes it easy to comply with fleet compliance regulations on storing DVIR's. In addition to the DVIR, DOT regulations require thorough scheduled inspections for passenger transport fleets. Though special regulations exist for stretched or modified vehicles, most passenger transport vehicles are subject to a thorough annual inspection. Although regular inspections are an extremely valuable aspect of fleet maintenance, outdated paper forms can make for a cumbersome process. Digital inspection software allows greater customization, keeps the inspection on track, ensures that no valuable information is missed, and stores the inspection in an organized fashion for later reference. 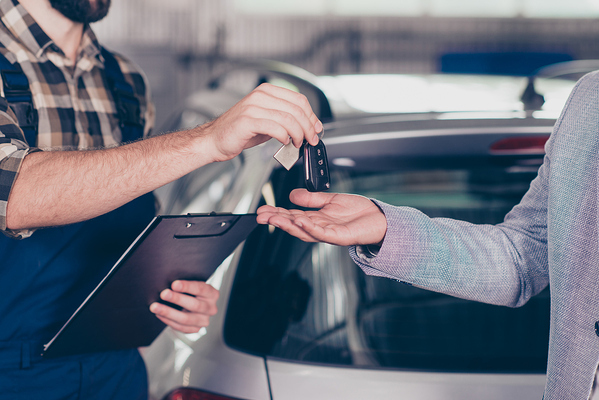 Keeping a digital trail of inspections also ensures that no vehicles that have failed inspections slip through the cracks, creating a dangerous liability. DVIR's, inspections, and DOT compliance can actually be a valuable tool for fleet managers. Ideally, these processes alert owners and managers to mechanical issues and allow for streamlined maintenance fleet maintenance. Unfortunately, in the busy day-to-day world of fleet management, maintenance can sometimes slip through the cracks along with misplaced paperwork and miscommunication. With Whip Around's technology, you can gain control of your vehicles and their safety. Quickly receive alerts on mechanical issues that need attention, then instantly generate a work order.Additionally, fleets can often underestimate the true cost of downtime for vehicles. With antiquated paper-based methods, getting vehicles the maintenance they need can become a lengthy and cost-intensive experience. With Whip Around, you can get real-time updates from your drivers and streamline maintenance so that your fleet has less downtime — and more time creating an incredible experience for your passengers. When we think of fleet inspections, we often envision the mechanical damages that can cause a vehicle to malfunction, such as brakes and tires. However, passenger transport fleets require special emphasis on non-mechanical damage in vehicles. In a competitive marketplace, passengers have the freedom to gravitate towards transport services that offer clean, aesthetically-pleasing vehicles. With Whip Around's customized forms, drivers can incorporate a thorough check of every aspect of the vehicle. In addition, they can add photos and comments to the app for future reference. Doing so will help you pinpoint when damages occurred to the vehicle and help you to stay on top of repairs. In an article in Luxury Coach & Transportation, operators discuss the importance of establishing brand identity with consumers for a stronger passenger transport business. By keeping vehicles clean, tidy, and neat at all times, your drivers help passengers associate your brand with high standards of cleanliness and service. Keeping the interior and exterior of your vehicles tidy and clean is a pivotal aspect of the customer service experience. Since it's difficult to enforce multiple drivers who are using multiple vehicles, using a solution like Whip Around can help you truly gain control of your fleet's cleanliness standards. By ensuring sure that each of your drivers are assessing their vehicles before and after trips for cleanliness and tidiness — in addition to mechanical soundness — you can create a more positive and rewarding experience for your passengers. Passenger transport businesses require collaboration and communication to thrive. Only then can they provide the superior safety and world-class experience that customers seek. By helping to streamline inspection processes, schedule regular maintenance, and facilitate standards for vehicle appearance, Whip Around's technology can transform your passenger transport business. To learn more about the Whip Around app, please contact us today.